Do you experience jaw pain and/or jaw joint noises when talking or eating? Do you wake up in the morning with jaw pain and headaches? Does you jaw lock or move to the side while opening? These various aches and pains may be part of a disease process associated with your temporomandibular joint or TMJ. Temporomandibular joint disorders (TMD) generally occur when the structural integrity of the temporomandibular joint (TMJ) and/or the physiological relationship of the upper and lower jaws are compromised. Factors that are associated with TMD include the presence of a malocclusion (bad bite), arthritis, jaw dislocation, overt injury, and chronic stress. Common symptoms of TMD include clicking and/or popping of the jaw joint, limited jaw opening, closed or open lock of the jaw, pain in around the ear, sore jaw muscles, chronic headaches and neck aches. Some patients may experience these symptoms and have no noticeable loss of function. However, others gradually become worse and lose normal function. These patients require treatment to relieve their pain and restore their joint function. A thorough TMD exam is the most important step towards relief. In our office a formal assessment of your medical history will be made. 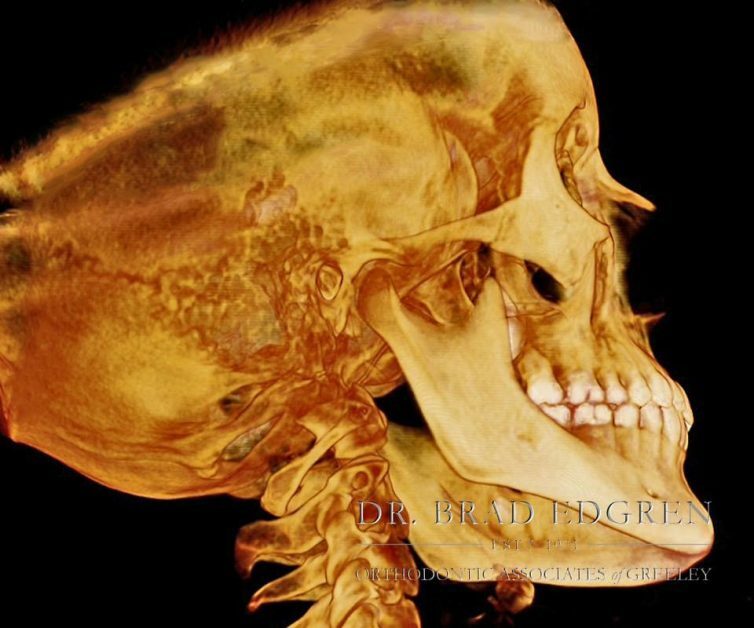 Dr. Brad Edgren will evaluate your jaw musculature for tenderness, jaw joints for popping/clicking, range of motion, and the condition of your occlusion (bite). Following his evaluation of your jaw joint problems he will make an individualized treatment plan to get you on your way to healing.